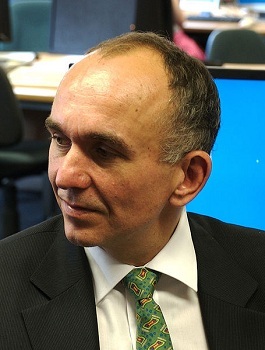 Peter Molyneux's name is one of the most recognizable in the game industry. He made his bones with games like Populous and Dungeon Keeper before he moved on to create the Fable series for Microsoft consoles, but that wasn't enough for him. Molyneux quit his cushy job last year as Creative Director of Microsoft Game Studios in Europe with the goal of using his startup 22cans to recapture the creative spirit of the lean design teams of his youth. Curiosity: What's Inside the Cube was a mobile psychological experiment with mixed results - the problems stemmed mostly from the technical side of things - but Molyneux hopes he can build on what he learned from it with the recently announced return to the god game genre in Godus. 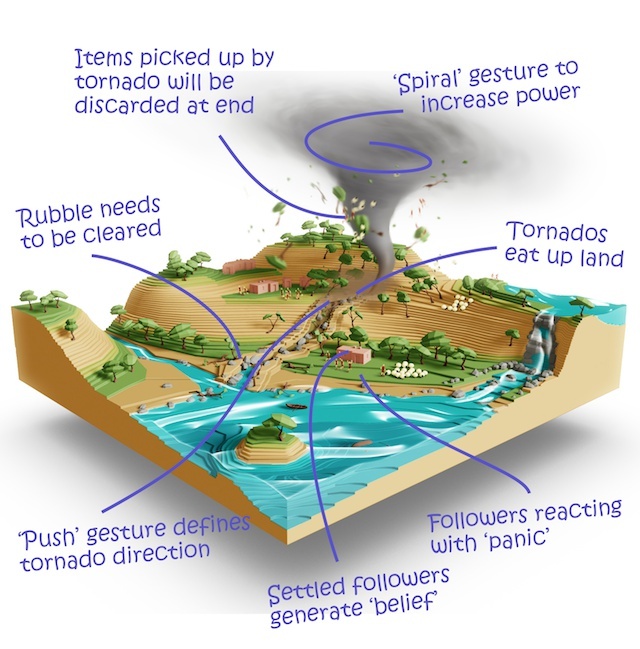 22cans began a Kickstarter campaign to raise Â£450,000 to build Godus, inspired by the alternate funding methods used by Markus "Notch" Persson and Tim Schafer to hopefully net some serious dough. Through crowdfunding his next big game, Molyneux wants to avoid being tied to a publisher so he can make the game he wants to, while at the same time making that all too important connection with his future audience by letting them comment on and guide the whole development process. And he's scared shitless it's all going to fail. "God, I hardly sleep anymore I'm so terrified," Peter Molyneux told The Escapist. 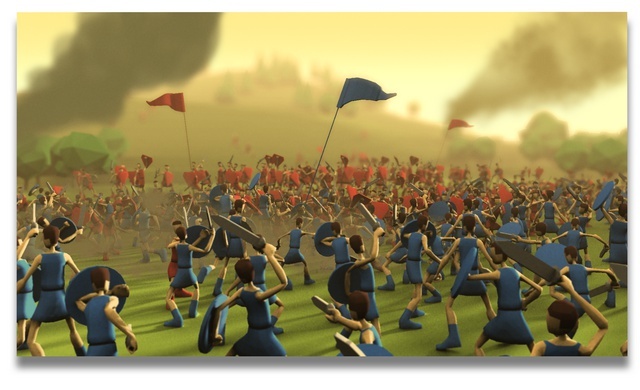 "I'm so terrified about [the Godus] Kickstarter and it failing. I'm terrified about Curiosity and people losing their gold. I'm terrified rather than secure and safe and comfortable." You'd think Molyneux is a wealthy man, having produced such a library of well-known games and working for a billion-dollar company like Microsoft for so long, but that's just not true. "A lot of people think I shouldn't be on Kickstarter because I bathe in diamonds and drive around in a gold Rolls Royce; I'm not that wealthy," he said. "I've used a lot of my money to found 22cans and release Curiosity and to build a great team up." Most of any personal wealth Molyneux might have had is already invested. He and the 19 other employees at 22cans are risking it all on the childlike enthusiasm Molyneux brings to game development. And as everyone knows, the promise of the esteemed designer's interviews before a game is released doesn't always match the product when it ships. That exuberant quality might be Molyneux's greatest asset, but he's frightfully aware it could be his downfall. "That's my flaw," he said with a nervous laugh. "I get so excited about [my games] that I can't stop myself. It's not a PR trick and everyone thinks it is. The hype is literally what I am." The thing is: I bought it. Again. Hearing Molyneux speak about Godus is just as enticing as it was hearing him say Fable was going to be the best RPG ever. He's got so many wonderful ideas for what he wants Godus to be, it's incredibly difficult to resist being infected by his enthusiasm. "Imagine if I could connect everyone together like everyone's connected together in Curiosity but in a god game. Imagine if I could do that. Imagine what that would be. 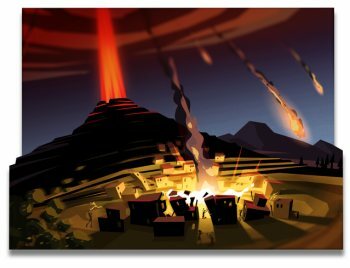 Imagine if the world that you interact with is delightfully, incredibly, simple to interact with but immensely deep as all of those god games were, whether it be laying down streets in a city or whether modifying the land in Populous or whether it be digging out dungeons in Dungeon Keeper. Just going back to that format, reinventing it, looking at the games that I did in my past, throwing all the stupid school boy mistakes out of those games and reinventing it, engaging it, is absolutely one of our goals. I want to reinvent the god game genre," he said. "It is a quite ambitious thing to do." It is. And I want him to succeed.